But other than our namesake condiment, what other fan-favorite sauces do guests clamor for where you live? Guests in the Southwest love their sauce. The region enjoyed more sauce than any other part of the country last year, ordering more than 315 million packets. That’s more than 40 billion gallons! And, it’s no surprise that the big, bold flavor of our BBQ Sauce was a top choice in part of the country known for barbeque. Like the Southwest, guests in the Midwest prefer a bit more of a bite with their sauce, too. The BBQ battle was in full swing in the heartland. From Minnesota to Ohio to Kansas and everywhere in-between, if you weren’t dipping into Chick-fil-A Sauce, you’d better get on board with BBQ! Chick-fil-A guests across the East Coast all had the same mindset: Keeping things sweet. The Polynesian Sauce was devoured from Florida all the way up to Maine last year. 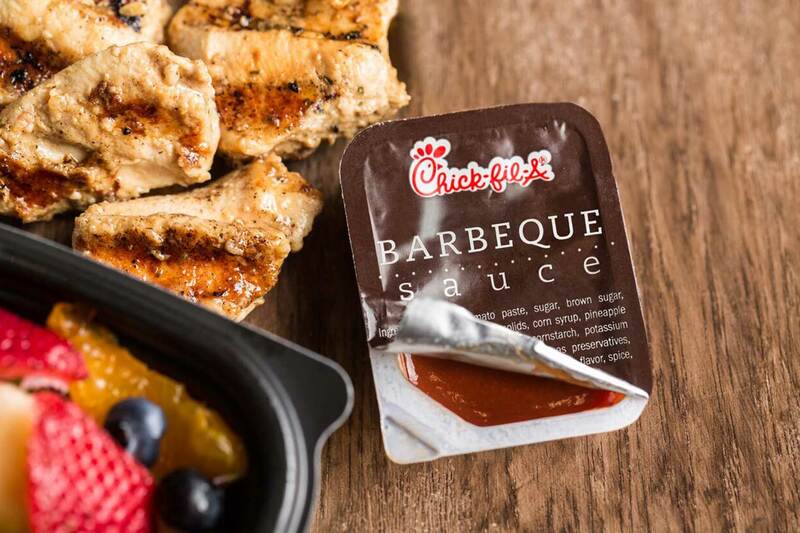 Delicious to pair with everything from our Egg White Gril to our nuggets and strips, the sauce adds a strong tangy flavor to your favorite Chick-fil-A. Finally, people out West brought out their chilled attitude with the under-the-radar Garlic & Herb Ranch Sauce. A savory and creamy choice with garlic, onion and herbs, its popularity proves this Ranch is a classic. 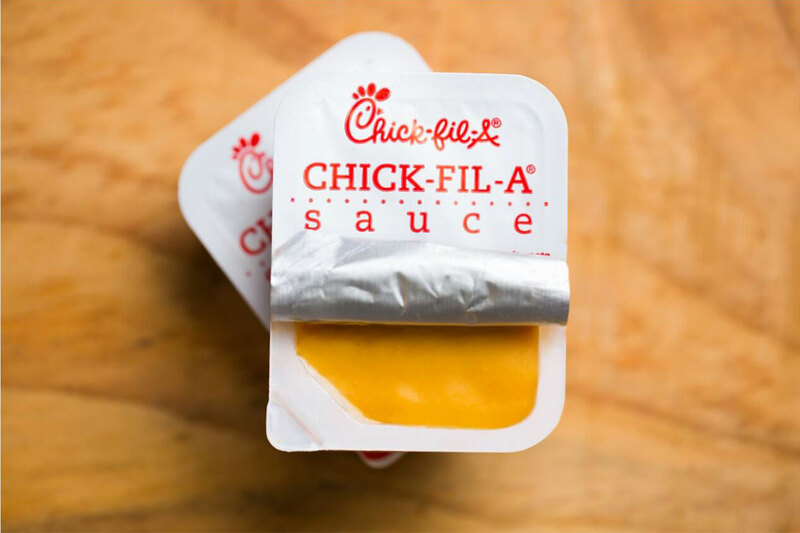 One thing is clear, regardless of the location, Chick-fil-A guests love to get lost in the sauce! And for those who can’t pick just one, try our chefs’ picks for sauce combos! What makes a sauce special? In Chick-fil-A’s case, it all started with a happy accident. 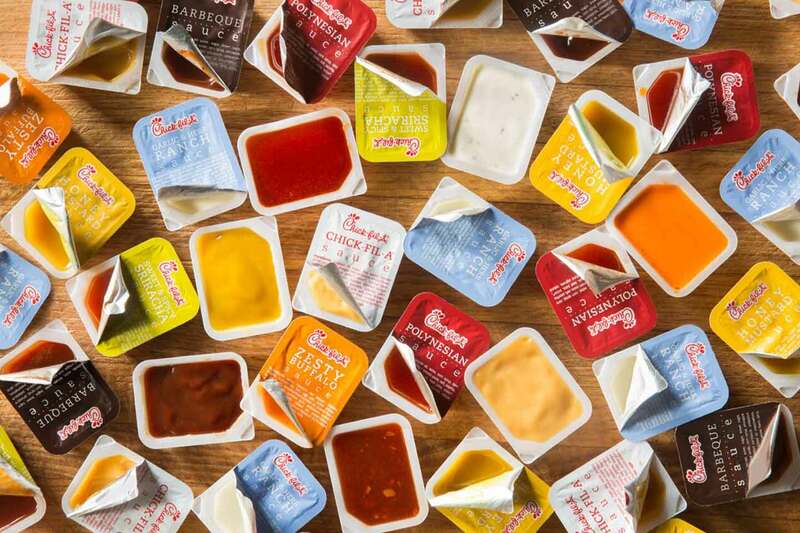 Of all the sauces offered on the Chick-fil-A menu (and there are a lot of them! ), only one reigns supreme – and it’s the one named after the company itself.